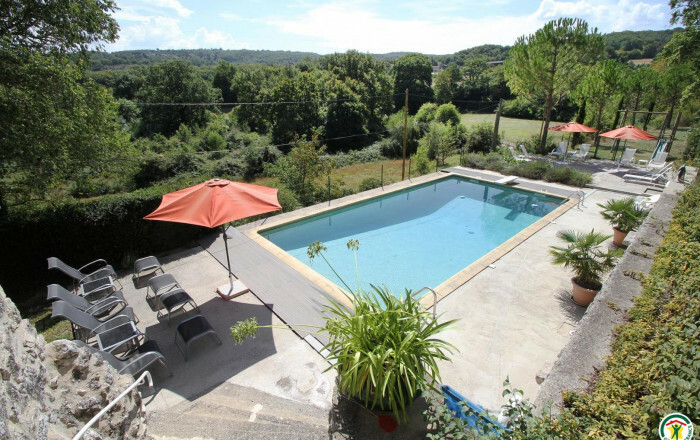 Le Chaffal is well off the beaten track, in a restful and relaxing countryside setting. Ideally located, nevertheless, for exploring the region's rich heritage and enjoying its many activities. Delightful villages on nearby hill tops, vineyards reminding you that this is Clairette de Die country (Rhône Valley AOC sparkling wine). Outdoor activities in the Drôme valley: kayaking on river Drôme, climbing at Crest and abseiling down its castle keep, tree-topping, walks in Marsanne forest. Gîte in restored stone priory (dating from 1734), at one end of owners' home also containing 3 guest rooms (B&B). Separate entrance, not overlooked. Ground floor: entrance hall with dining area (great in summer ) and wood-burning stove (perfect for winter evenings). 1st floor: kitchen area opening onto dining room, dual aspect bedroom (120cm wide bed, 110cm wide bed) communicating with lounge & kitchen, lounge area (double bed), bathroom, WC. Shared: swimming pool (11.5x5.5m), table tennis table, table football, children's climbing frame. Here you can enjoy a comfortable, relaxing holiday in peaceful and cosy surroundings.